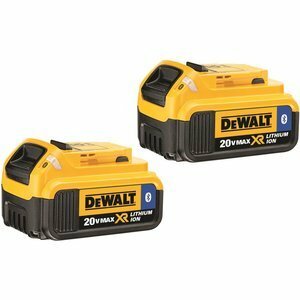 Back in early June, DeWalt announced the release of the first ever Bluetooth rechargeable battery, which would allow the owner to track performance and location of their inventory of batteries. 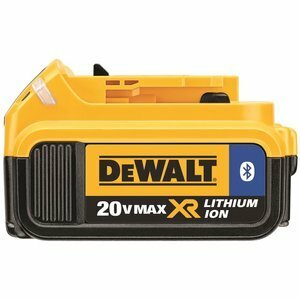 On many job sites, rechargeable batteries are the unsung hero of the job site, they give workers flexibility and mobility to work in remote areas of the job site, but are often abused and misplaced. The ToolConnect app can alert the owner if a battery goes too far out of range, if it’s too hot or too cold, and even track the battery usage to keep workers productive. Both the batteries and the app are now available for purchase. 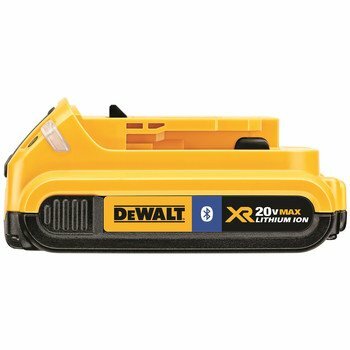 The Bluetooth enabled Lithium Ion battery comes in a 2Ah ($99 | Amazon) and 4Ah ($139 | Amazon) variety, so you’re not only getting extra functionality, you’re getting a top of the line performing battery that works with your favorite DeWalt tools. With the app, there’s no need to relentlessly check the charger to see if your batteries ready, you’ll be alerted so you can focus on other important tasks. The alert and disable battery if leaves Bluetooth range is an interesting way to possibly deter theft from your job site. Those batteries are expensive and allowing them to walk off your job site can wreak havoc on your profit margin. The video below is the first look at how the app and battery work together…let us know what you think!